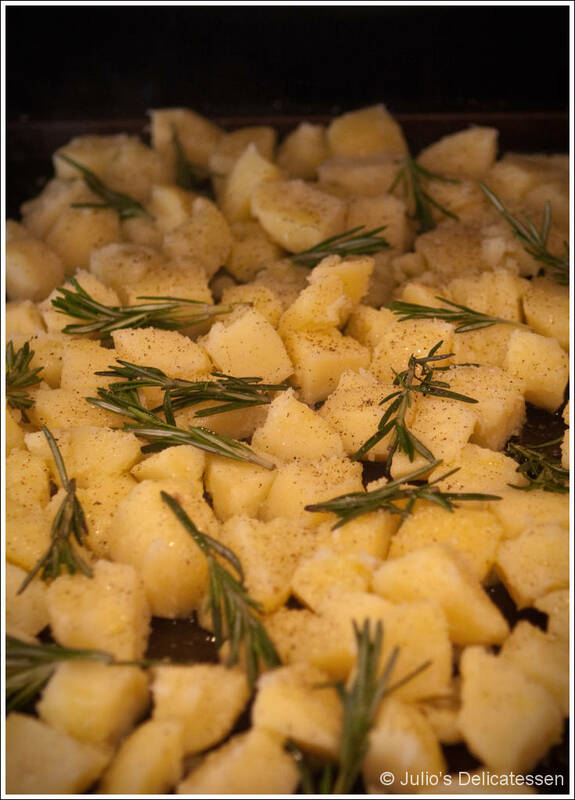 One hour, 20 minutes before you want the potatoes to be ready – Preheat oven to 400. Add cubed potatoes to a large pot and cover with cold water. Add 1 Tb kosher salt. Bring pot to a simmer over medium-high heat and simmer for about 12 minutes. Drain potatoes, then return to the pot. Leave the heat on medium-high and shake the pot until the potatoes are dry – 10 or 20 seconds. 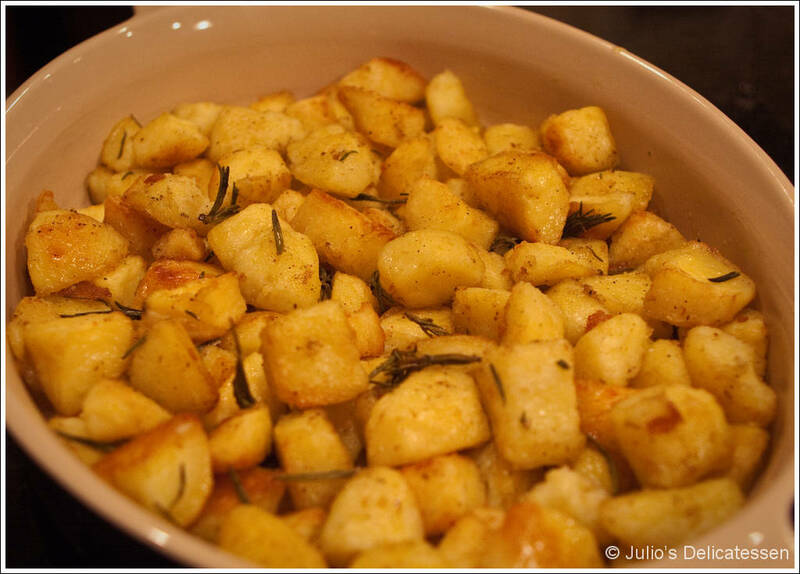 50 minutes before you want to eat – spread the potatoes and rosemary on a rimmed baking sheet. Drizzle with the olive oil. Season with salt and pepper. Toss to coat the potatoes with the oil and seasonings. Add to the oven and roast for 45 minutes, tossing several times. When you’re ready to eat – pour off the excess oil, transfer potatoes to a serving dish, and serve.